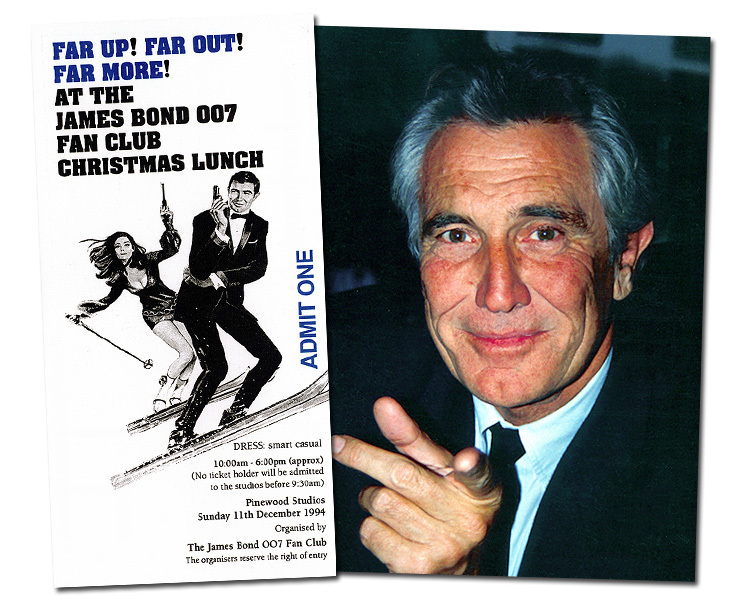 The 1994 James Bond 007 Fan Club Christmas Lunch, held again at Pinewood Studios, was the first UK autograph signing ever undertaken by George Lazenby. Other celebrity guests included Lois Maxwell and Desmond Llewelyn, reunited with Lazenby for the first time since the release of the film in 1969. Also in attendance were Eunice Gayson (Sylvia Trench in Dr. No & From Russia With Love), Stuntmen George Leech, Alf Joint and Paul Weston, and Oscar-winner Norman Wanstall.